Ombre highlights keep on being the main trend in hair coloring for some seasons now, and they go on creating the most amazing looks on all hair types. 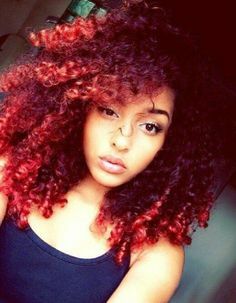 The last few years we have noticed how ombre hair color has raised its popularity and established its place among all the other dyeing techniques. Still now it's even more popular than ever, girls and women all around the world try sombre and ombre hair colors and express themselves through the unique looks they obtain. 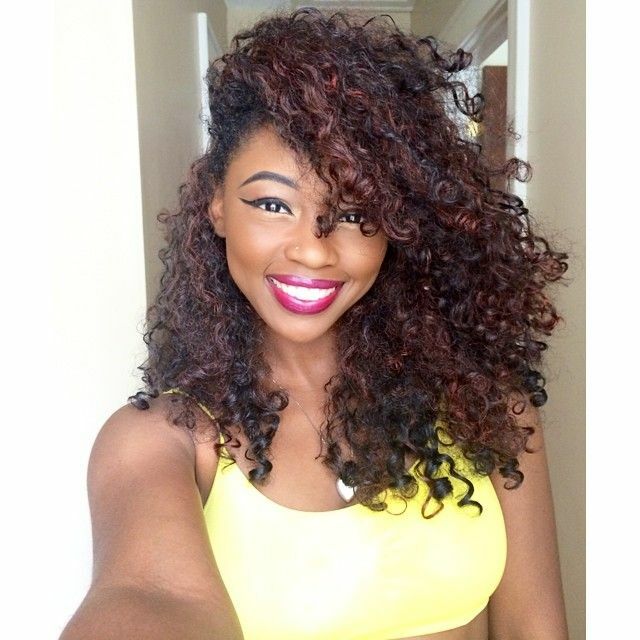 Now the trend comes to natural hairstyles for black women. 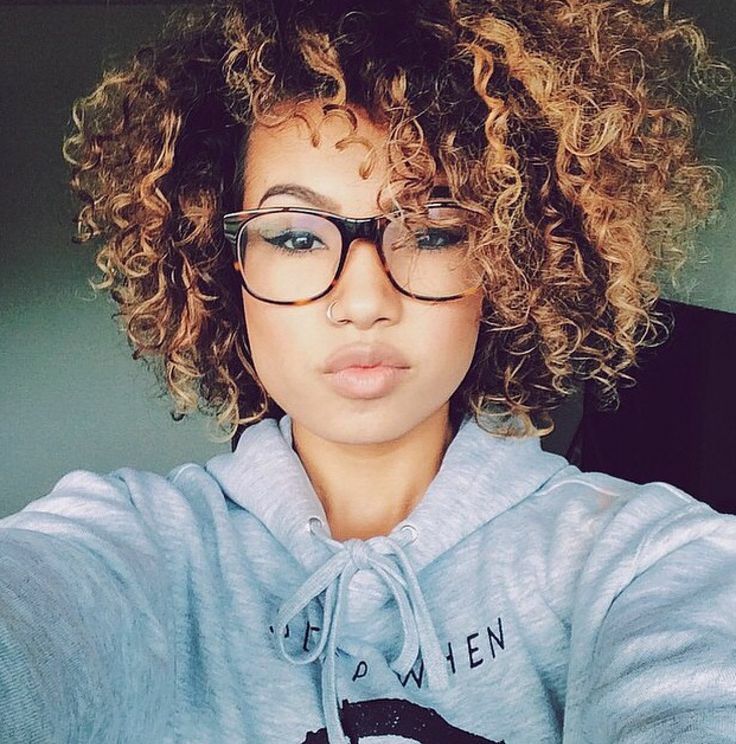 Who said that curly hair is boring? Add bold ombre highlights, or try subtle ombre and see how your image is changed into something more in an instance. 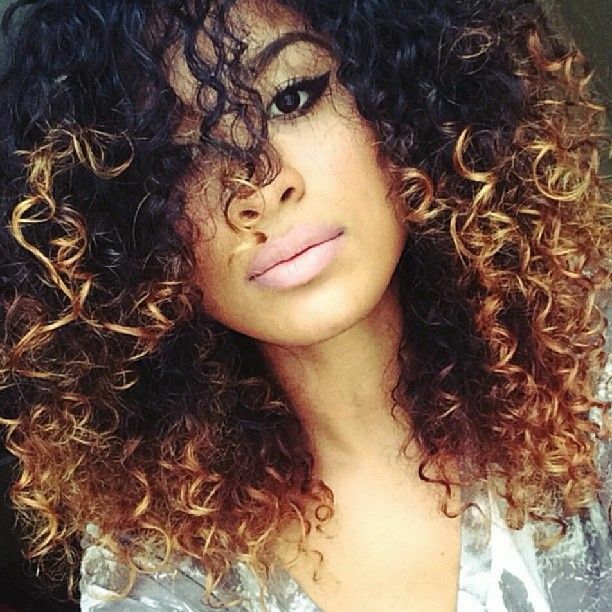 Be the first to make the statement in your surrounding, but first check out some ideas for amazing ombre highlights for natural curly hair in this article. The best thing with ombre highlights is that you can experiment forever. Soft natural black hair with highlights, brown hair with caramel highlights is not the end, go on with bold colors like pink, blue and green and see what you will have. 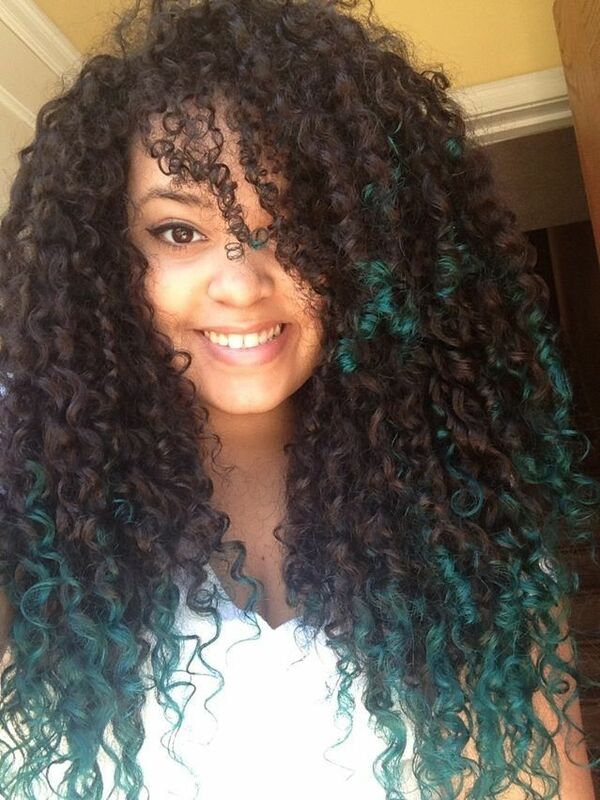 With vibrant colors I suggest using semi-permanent or temporary dyes just to see the result. Curly hair is vey attractive by itself. 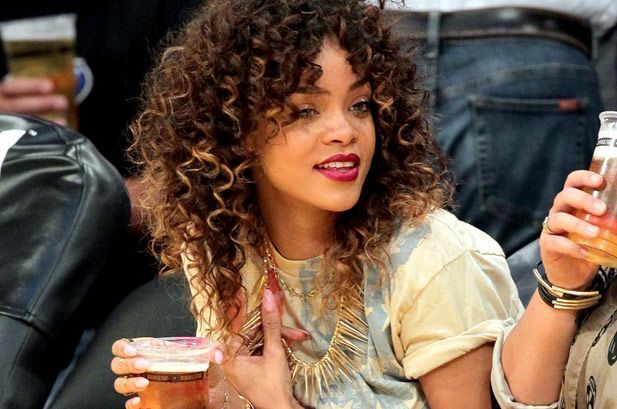 You can hardly pass by someone with gorgeous natural curls and not look after her. 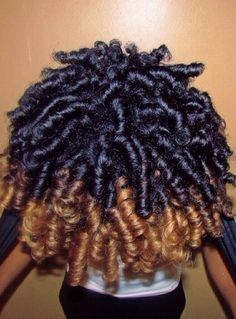 That is why ombre coor is even easier achieved with curly hair, cause you won't need traditional three tones that are proper for straight hair, with curls two shades are quite enough.